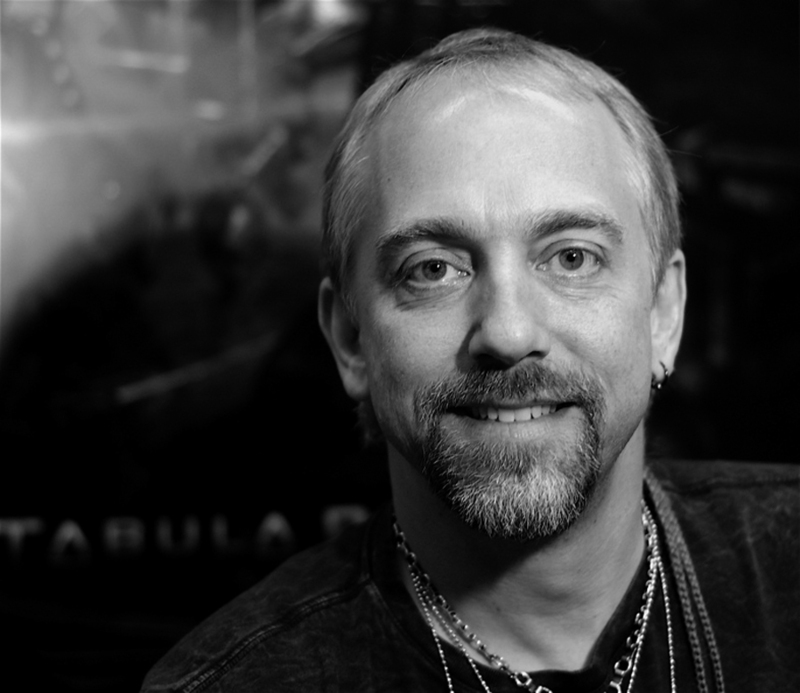 It’s hard to sum up Richard Garriott’s life quickly. The son of an astronaut (Skylab 3 pilot Owen Garriott) and an accomplished oil painter, silversmith and ceramic artist (Helen Garriott), Richard Garriott is probably most well known for developing the video games Ultima and Tabula Rasa. In the games, he’s known by his alter egos/character names Lord British and General British. Born in Cambridge, England to American parents, Garriott was raised in Nassau Bay, Texas. His interest in computers and gaming stemmed from two places: a love of fantasy books and games (Dungeons & Dragons being one), and a desire to learn more about computer programming than his school offered. Around age 14 he persuaded his school to let him create a course in computer programming. Once his parents sent him to a computer camp, he earned his nickname Lord British from the other children who decided he sounded British because he would say “Hello” instead of “Hi”. It was while attending the University of Texas at Austin that Garriott developed Ultima. After the Ultima game series took off, Garriott, his father and brother founded Origin Systems to handle publishing and distribution. In 1992, Garriott sold Origin Systems to Electronic Arts for 30 million dollars. In 2000, after spending time at Electronic Arts, Garriott left to form Destination Games leading to a partnership with NCsoft, where Garriott became CEO. Tabula Rasa, Garriot’s next major entry into computer gaming, did not perform as expected upon release (despite a seven year development period). In a bizarre series of events, an open letter from Garriott was posted to the NCsoft website stating that he was planning to leave NCsoft to pursue an interest in spaceflight. Shortly after, Garriott claimed that the letter was a forgery created to push him out of his role as CEO. Regardless of the letter’s author, the Tabula Rasa servers were shut down on February 28th, 2009 due to the games limited success. A little over a year later, Garriott was awarded $28 million in a lawsuit against NCsoft that claimed the company had mishandled his 2008 departure. In October 2008, Garriott became the sixth space tourist, paying approximately $30 million to visit the International Space Station for a twelve day visit. While there he was part of a variety of educational and scientific programs, and communicated frequently with both students and amateur radio operators on earth. Love the entrance to @rebelpizzabar #atx #pizza #austin #food #delicious #theaustinitemag can't wait to go back! Wish List: Gifts so good, you’ll want to keep them for yourself.